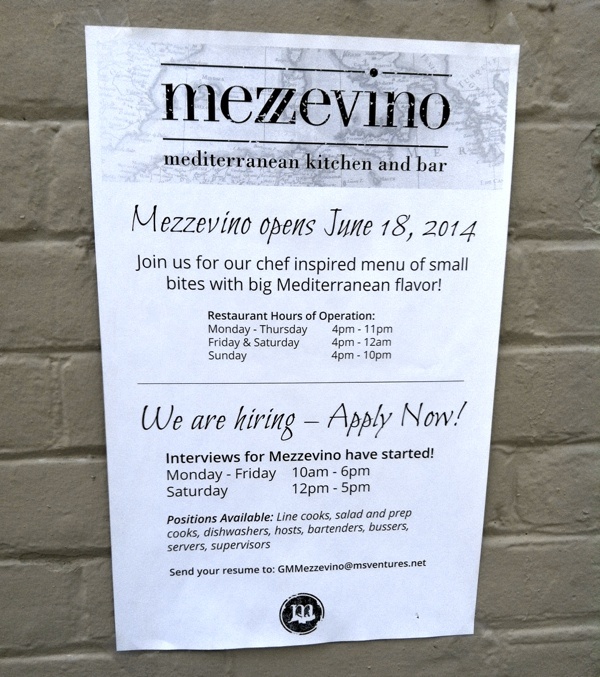 Sign posted on wall outside of former Kuroshio restaurant in the Pretzel Bell building, announcing that Mezzevino will open on June 18. 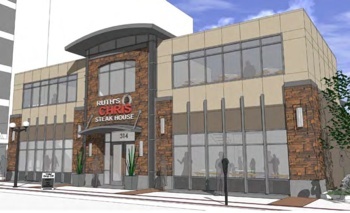 [photo] The Main Street Ventures restaurant is hiring. The Ann Arbor planning commission has recommended approval of the site plan for Ruth’s Chris Steak House. The action took place at the commission’s April 1, 2014 meeting.